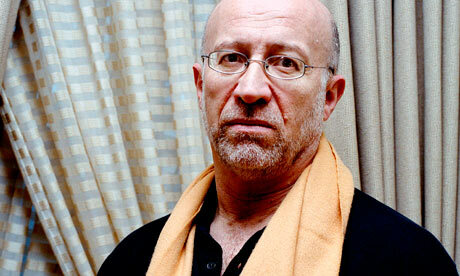 Tony Judt, the British writer, historian and professor who was recently described as having the “liveliest mind in New York”, has died after a two-year struggle with motor neurone disease. His finest work was widely thought to be Postwar: A History of Europe since 1945, published in 2005 and an enormous critical success. It was described by the Yale historian Timothy Snyder as “the best book on its subject that will ever be written by anyone”. But Judt’s willingness to voice, as the New York Times recently put it, “impolite truths” brought attacks from fellow intellectuals. He was called cantankerous, which he probably took as a badge of honour. His criticism of Israel – particularly a 2006 essay in which he declared that “Israel today is bad for the Jews” – placed him at the centre of an intellectual firestorm. His view of history was unvarnished. “History can show you that it was one pile of bad stuff after another,” he once declared. “It can also show you that there’s been tremendous progress in knowledge, behaviour, laws, civilisation. It cannot show you that there was a meaning behind it. His widely admired command of language, he believed, was down to his upbringing. “I was raised on words,” he once wrote. “They tumbled off the kitchen table on to the floor where I sat: grandfather, uncles, and refugees flung Russian, Polish, Yiddish, French, and what passed for English at one another in a competitive cascade of assertion and interrogation. Judt was awarded a special Orwell prize last year for lifetime achievement for his contribution to British political writing. Penguin published his latest book, Ill Fares the Land, a passionate call for a re-engagment in politics, in March. The motor neurone disease diagnosis had come in 2008. Judt, who had considered himself a “very healthy, very fit, very independent, travelling, sports-playing guy”, found his body ravaged. Soon he lost the use of his hands and had to start using a wheelchair. He considered euthanasia. “There are times when I say to myself, this is so damn miserable I wish I was dead, in an objective sense of I wish I didn’t have to get up this morning and do it all over again,” he remarked.